I like quirk, it makes everything a little more interesting. Putting a little quirk in comedy is something I really like. It takes real talent to make something quirky, yet it keeps its relevance and is still funny. Jay Leno has never been quirky, in a comedy sense, but I’m still watching him over the next week plus. 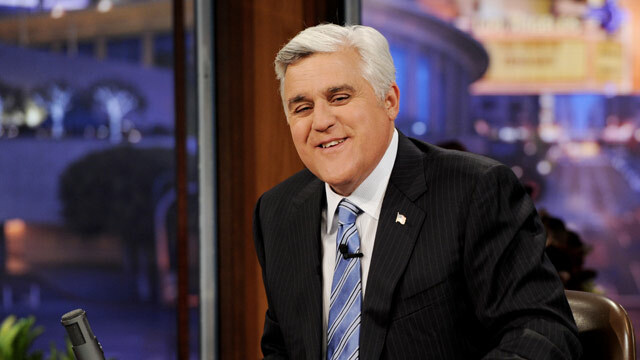 Leno’s last Tonight Show will be next Thursday, February 6, giving way to current Late Night host Jimmy Fallon. When I was younger, I loved Jay and I don’t really know why. He was probably just the guy that my parents would watch, so I also watched him. As I got older, I realized that Leno didn’t exactly take too many comedic chances and my attention shifted to David Letterman instead in the coveted after-the-evening-news time slot. I like other comedians better than Jay, it’s just the simple truth. I was excited when Conan O’Brien took over the Tonight Show and I watched every single episode of his tenure and it’ll be the same for Jimmy Fallon, but I like Jay, too. Jay is talented, funny and was portrayed as the villain in something that wasn’t totally in his control. I guess this is my way of saying that I’m going to miss Jay Leno. Leno, other than the Conan stint, has been the only host of the Tonight Show in my lifetime, so it’s going to be weird to be flipping around after the news and not having Jay somewhere on the TV. He said in his interview with 60 Minutes that he won’t be looking to do another late night show. It’s a big change in the landscape of TV, again. Something that has barely changed in my whole life is changing permanently now. I guess it’s just a sign of me getting old. I’ll always remember a lot about my endless hours of Leno watching. Jay being the first late night host to interview a sitting US President is something I’ll always remember, it might help that it was my birthday and that Garth Brooks was the musical guest, but nonetheless. The thing I’ll remember most is Mondays with Jay. Monday meant Headlines. Headlines meant trying to convince my parents to let me stay up a measly half-hour later so I could see my favorite bit on late night television. I’m going to enjoy the hell out of Jimmy Fallon moving into the Tonight Show, allowing Seth Meyers to move into Late Night, but part of me will miss the hell out of Jay and another part of my childhood slipping away. My childhood just giving way to more quirk.